Following its debut during Air Max Day, Nike has released a handful of different renditions of the Air Max 270 silhouette. For the holiday season, the Swoosh will be debuting yet another new version, this time coming with an all-over print. This Nike Air Max 270 features a White upper covered in debossed “AIR 270” print. It also comes with a two-tone Blue and Green heel Air unit adding for a nice eye-catching feature. 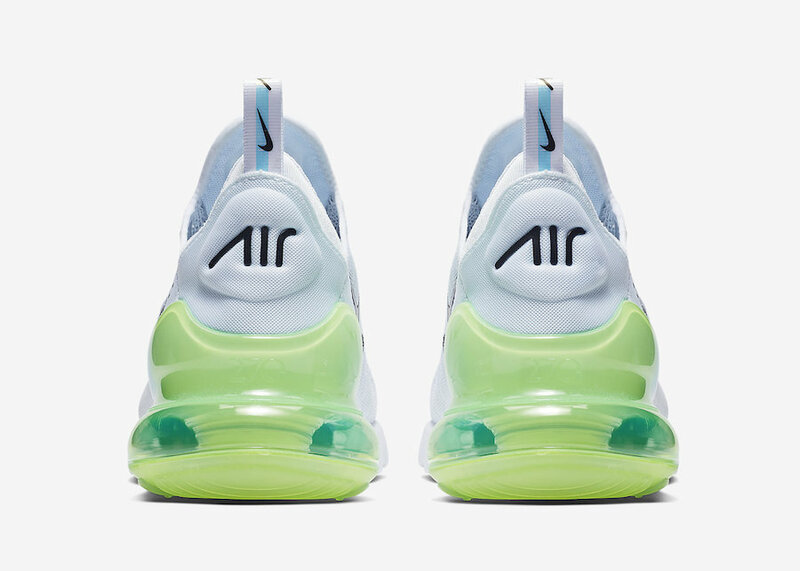 Look for the Air Max 270 to release in the coming weeks at select Nike Sportswear retailers and Nike.com. The retail price tag is set at $150 USD.